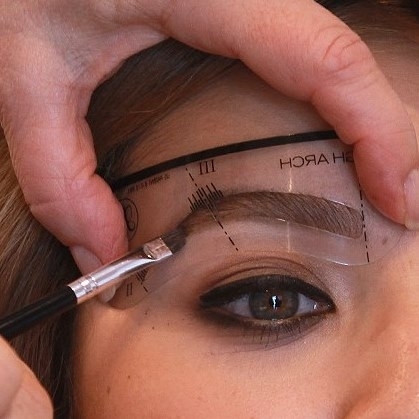 ...a waterproof brow colour which sculpts and defines the brows. Must-have for oily skin and humid climates. Give extra life to your brows with Christian Faye easy-to-use Eyebrow DIP Pomade that glides onto skin and hair. 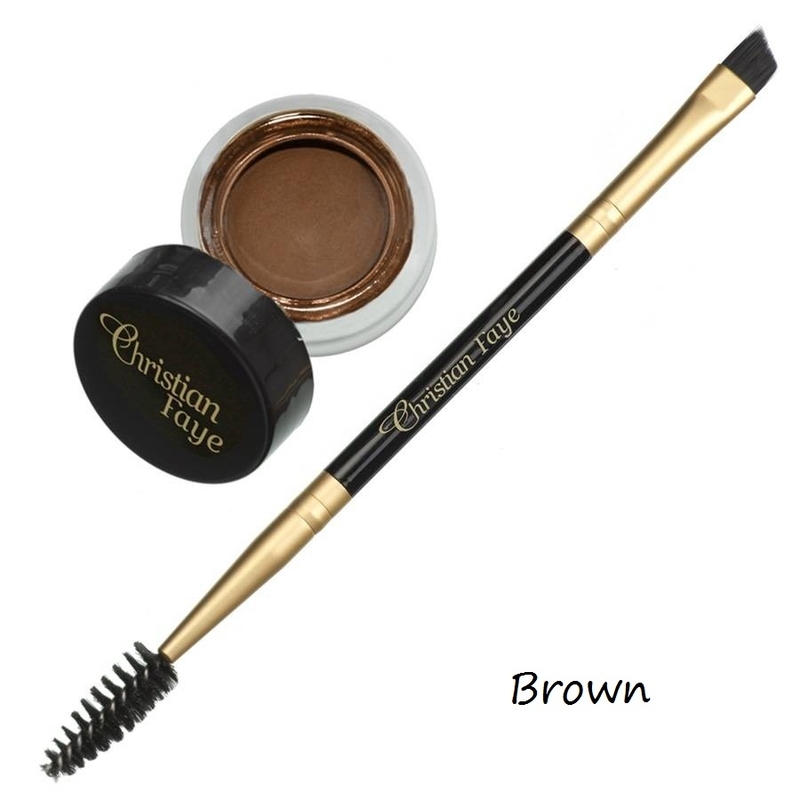 Christian Faye Eyebrow DIP Pomade is a waterproof brow colour which sculpts and defines the brows. The innovative formula works as a brow primer and provides colour, sculpture, and shading! This creamy, multitasking product glides on skin and hair smoothly to create clean, defined brows. Eyebrow DIP Pomade can be used as a brow definer or eyeliner and provides luxurious colour and sculpture. Available in a selection of shades to suit all brow colours, Eyebrow DIP Pomade also primes the brows for brow powder application and leaves the brows looking perfectly groomed, defined and flawless. Must-have for oily skin and humid climates. 4. Finish by brushing the spool through the hairs again to soften and blend the product. Product will become fixed in 60 seconds. Christian Faye Eyebrow DIP Pomade is available in 4 shade sets.The set contains the eyebrow pomade, double-sided brush and description. For a perfect shape try these stencils, they are useful to try out different eyebrow shapes on your face and to mark out the right position.